Taken in mid-morning in October 2009, at NGR SN8535011919, near Coelbren. 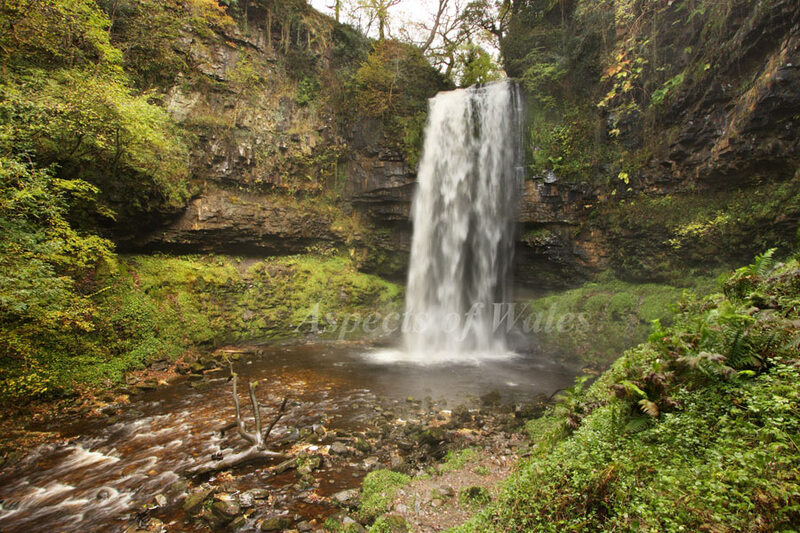 Henrhyd Falls is on the Afon Llech, a tributary of the River Tawe. Keeping the camera dry was the biggest challenge when taking this shot and I got completely soaked by the spray from the waterfall. Canon EOS 40D, Canon EF-S 10-22mm lens, Manfrotto tripod. Exposures F8 at 1/13, 1/25 and 1/6 combined. Original image in Raw format.